the Palestinian boy was killed in the area of al-Amud on Sunday morning. The identity of the boy has not been revealed, yet. Reports, however, say that he was an 18-year-old boy living in the occupied West Bank. Following the incident, the Israeli forces sealed off the Bab al-Amud, or Damascus Gate, which is one of the main entrances to the Old City in East al-Quds. The Israeli soldiers involved in the deadly shooting claimed that the Palestinian boy had stabbed and wounded an Israeli policeman at the gate. 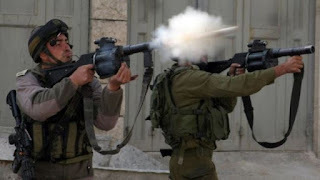 In another incident on Saturday, another Palestinian teenager was also shot twice and injured by Israeli troops in the village of Bireh in the occupied West Bank.